One of the beautiful things about poetry is that is touches all other genres. Poetry dwells within prose, both fiction and nonfiction, sometimes subtle and other times striking, but always trying to nudge us past the ostensible. Authors use poetic language to move their writing and to help us see the world through their eyes. Words, the molecules of ideas, envelope us, nudging us to think deeply about their function. Sometimes they seem to rest in the palm of an open hand, inviting us to use and to lean on them, to pull them into our own way of writing and speaking. This part of author’s craft is majestic, and I love introducing students to how authors use words to convey meaning. Under the document camera, I began arranging the sentences into the form of a poem, paying attention to the meanings of lines, of how fractured sentences could be fused into new ones, of how meaning changes when lines are extracted from context and blended with something else. As I arranged the sentences, I thought aloud, telling students that adding or removing words from the original sentences was acceptable. After a few minutes of crafting in front of them, I invited them to do the same. Students worked for about ten minutes with the sentences from their independent reading. During this time, I asked them to mold them into the shape and feel of a poem, read it aloud to themselves, then revise their original poem by swapping lines, interspersing their own lines of original thought, isolating words on a single line to draw attention to them, and so on. I let them pull me in. I stare at the computer. The arrangement of sentences—filled with haunting lyricism—mesmerized me and his other readers. A light goes on for me. My hearing is this afternoon. I smile at her in thanks. And then we are inside. I silently fume, then think hard. The blend of dialogue gives her poem a different edge. Characters’ names were in the original version, but I encouraged her to remove them so the reader could create the voices and names. Finally, students shared their poems with a classmate and posted it on a class Padlet. I also shared mine. Creativity exploded with this activity. I wanted students to deepen their awareness of the utility of short sentences while also appreciating author’s craft. After students posted their poems on the Padlet, I gave them time to read their classmates’ poems, identifying the one they were drawn to the most. Inside their notebooks, they copied the poem and wrote their why: What caused them to choose this poem? What word or line stands out the most to them? How does this poem make you feel? Time was provided to share poems that resonated and to celebrate their craft. And now, they have beautiful poems and a method of reflection that they can return to again and again. Travis Crowder is a 7th grade ELA teacher in Hiddenite, NC, teaching ten years in both middle and high school settings. His main goal is to inspire a passion for reading and writing in students. You can follow his work on Twitter (@teachermantrav) and his blog: www.teachermantrav.com/blog. I was fortunate to receive an ARC of Laurie Halse Anderson's new book Shout back in November, and I knew from page one that I had something special to read. Now that it has hit the shelves of bookstores everywhere, you can get your own copy! All of the chapters, written in verse, are powerful as standalone poetry, and the first poem in the book, "PRELUDE: mic test" is an example of one that can send us quickly to our notebooks to write. Unlike so many books that begin with images we can see, this book begins with images we can smell. Now invite your students: Try writing a prelude to your life story so far. What would the book that holds your life story smell like? Brett Vogelsinger is a ninth-grade English teacher at Holicong Middle School in Bucks County, PA. He has been starting class with a poem each day for the past six years and is the creator of the Go Poems blog to share poetry reading and writing ideas with teachers around the world. Find him on Twitter @theVogelman. When it comes to concrete poetry, students are often impressed with its combination of simplicity and cleverness. And that's the thing about concrete poems: like masterful acrobats or skateboarders or dancers, they make artful maneuvers look easy. As some people work on movement to play with gravity, the concrete poet plays with negative space, the blank page, and the shape of words in original and sometimes humorous ways. Why not challenge your students to create a smiple clock poem that sets the hour and minute hands at a different time: wake-up time, lunch, bedtime, game time. Or you might challenge them to change the form and still write about time: a sundial, an hourglass, a digital clock, an iPhone. This quick introduction to a sub-genre of poetry in a shape that students of all ages and artistic abilities can handle may do more than just inspire them to create a concrete poem. Poetry is about moments, and this exercise moves them to think of a poemworthy moment. Maybe the following day in class, that same moment can be crafted into a poem with line breaks and stanzas. I enjoy sharing the poem "white dove—found outside Don Teriyaki’s" by Juan Felipe Herrara with my students. It is the fifth of five of Herrera's poems published here by The Boston Review. While this poem is very readable in terms of language and the basic story line, it offers several challenges for readers that make it an ideal text for students. It can be taken literally, about a man keeping a bird in a cage, or it could be read as symbolic of a parent-child relationship, which could be of interest to students. The form is also interesting. With its lack of punctuation and irregular line breaks it offers a chance to talk about the specific poetic techniques of form. As a class, we look at this poem with an eye on analysis, theme, and writing craft. 1. How does the lack of punctuation affect the way you read the poem? Why might the author choose to do this? 2. Why do you think the author chooses to specify the gender of the birds? 3. Why do you think the author chooses such irregular line breaks? Is there any sort of pattern to them that you can detect? 1. How would you characterize the author’s relationship with the white dove? 2. Is the white dove better off with the speaker or in the wild? 3. How might this relationship mirror that of a parent and child? 1. Is it better to be safe or free? Why? 2. Pretend you are the white dove. What would you say to the speaker of the poem? John Waite is a teacher at Downers Grove North High School in Downers Grove, Il. He is a licensed Reading Specialist and National Board Certified Teacher. He also creates Trojan Poetry, a web series in which he and a colleague (Mike Melie) attempt to discuss poems on a weekly basis. Find it on YouTube and Twitter. Reach John at jwaite@csd99.org. Anna Grossnickle Hines is a poet who brings a beautiful blend of poetry and quilting expertise to her books for children. Since I am a poetry enthusiast, and my wife is a professional embroidery artist, we were thrilled to discover her picture books this year! Her 2011 picture book, Peaceful Pieces, contains a poem that will speak to younger and older writers alike. It is called "Peace: A Recipe," and the picture under the poem shows how the quilting complements the words. Open minds -- at least two. Willing hearts -- the same. After reading the poem twice aloud in my classroom -- first a teacher reading, then a student read aloud -- I ask my students to think of someone that they need to make greater peace with in their own lives. I invite them to ponder: which of the "ingredients" in this poem could help lead to greater peace. In their Writer's Notebooks, write for a few minutes about what action they could take using this "ingredient" to create greater peace in their relationship. This activity welcomes students to see poetry not just as literature or a collection of images or a weaving of words. Of course, it is all these things. But it can also be a motivator, a catalyst for change, an invitation to an epiphany. As teachers, we cannot manufacture epiphanies. But we can give students the chance to take a message from a poem and look for ways to apply it in their lives. This deceptively simple poem may give them just such a chance. Mary Oliver’s “The Summer Day” is one of my favorite poems to share with students. It’s one of Oliver’s best-known and most-quoted poems and has been included in a few of her anthologies. It strikes a chord with many high school students as they are beginning to think about their lives beyond high school. It’s also a great way to get students to slow down and observe nature for a few minutes. Begin by giving students a copy of the poem and let them read along as they listen to Mary Oliver read it. I like to take my students outside for this activity, so I use my cell phone to share the audio. Ask your students to mark the phrases or lines that strike them in any way while they read the poem. After students have read the poem and listened to Oliver read it, have a brief discussion. I always point out to students that “The Summer Day” sounds like a prayer to me, and this makes sense because Oliver frequently talked about how the forest was her church. Ask students what their “church” might be. Where do they feel spiritual? Where do they feel safe and at peace? After a brief discussion, give students a few minutes to write. Ask them to let the sights and sounds of the outdoors guide their writing as they try to answer the question “What is it you plan to do with your one wild and precious life?” I don’t give my students too many guidelines here as I just want them to write. Their response can be in prose or poetry form, and if they really get stuck I encourage them to sketch. You could easily extend this activity into a full lesson by having students choose something outside (a tree, a blade of grass, a bird, a bug, etc) and center their response around it like Oliver centers her poem around the grasshopper. They could spend 10-15 minutes making observations about what they see, hear, smell, feel and (maybe?) taste while observing their species of choice. Oliver’s poem can serve as a mentor for their response to the question in her final line. For a brief Go Poems idea for Mary Oliver's "Wild Geese" click here. Sarah Gross is one of the co-organizers of NerdCampNJ. She teaches in central New Jersey and loves spending time outdoors. After my AP Literature students do the “heavy lifting” of examining Sylvia Plath’s “Daddy” with critical theory in mind, I ask them to try their hand at writing confessional poems. A low-risk way of trying this is asking students to write a confessional poem from the point of view of a literary character. 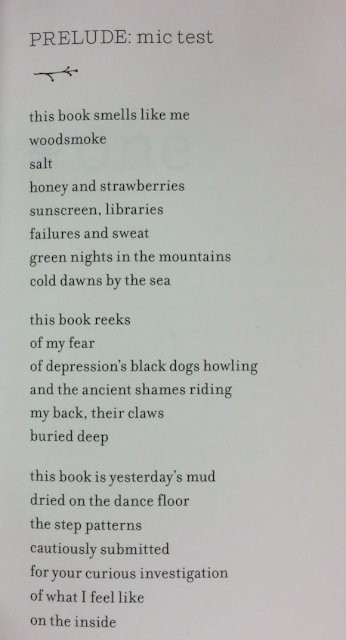 I model the process by showing students a confessional poem of my own based on a recent novel I’ve read. Students genuinely enjoy writing confessional poems, engaging in voice-filled analysis and taking new compositional risks. Take a look at these three student poems, posted with permission. It’s not like you’ve ever loved me. Stop; I won’t believe you when you say that it’s not so. I won’t believe you with those pills in your mouth. But I wouldn’t know it. Except I grew up under your reign. Except for the undeniable DNA you share. You’re not my mother; you’re an addict. Barely a sister, a friend, a wife. Years with my father eased by the comfort of those pills. I thought I had made it out alive. Even if you feel it somewhere deep in your sour soul. But I’m afraid I don’t know how. So I’ll leave like this. I never said I didn't. I needed you to stay with me. But I wish that I did. My devotion for you has not diminished. As if they were inscripted in the bible. In the lies of your making. Turn to poison as they enter your ears. that I could never live. Lily’s poem is an astute distillation of Letts’ play, in which she summarizes the plot and offers a clear characterization of the protagonist. Beyond this, she interprets the play’s ending and articulates her understanding of the playwright’s intent. Kaley tries her hand at using capitalization to identify theme development in Albee’s text, but the capitalization also reveals her character analyses of both Honey and Nick. Vincent uses consonance, assonance, and intentional line breaks to illustrate Biff’s paradoxical sentiments of resentment of his father and longing for validation. I was also intrigued by his deliberate breaking up of the cliché, “a dime a dozen” to show Biff’s perception that he is always falling short. I like to think of confessional poems as “twofers,” in that students can practice the skills they themselves need to analyze in poetry, and see how poetic conventions emerge on their own (I didn’t “assign” consonance, assonance, capitalization or any other intentional strategy). Upon completion of their point-of-view confessional poems, they’re more likely to try their hand at writing poems from their own perspectives, confessional or otherwise. And that makes this writing teacher very happy. Oona Marie Abrams (@oonziela) is one of the co-organizers of NerdCampNJ. She lives and teaches in northern New Jersey. 2019 Post #20 -- Poem or Song? 2019 Post #18 -- Where Are You From?